Of course, not all franchise businesses are successful and choosing the next big thing isn’t as easy as it looks. When a business takes off, like the popular coffee franchise, it becomes more difficult to find an available location, costs are likely higher, and the franchisee may limit sales to those with lots of applicable experience. A potential franchisee, just like a potential employee, needs to decide what they want to do in a business and what strengths and weaknesses they bring to the party. Ask yourself what you enjoy. Do you like being outdoors or would you rather be at a desk, coordinating work? Is sales your forte? Do you have the gift of gab and enjoy talking to people? Or, perhaps you prefer to be an owner/operator, working with clients one on one. Keep in mind that no business is a one-size-fits-all opportunity. 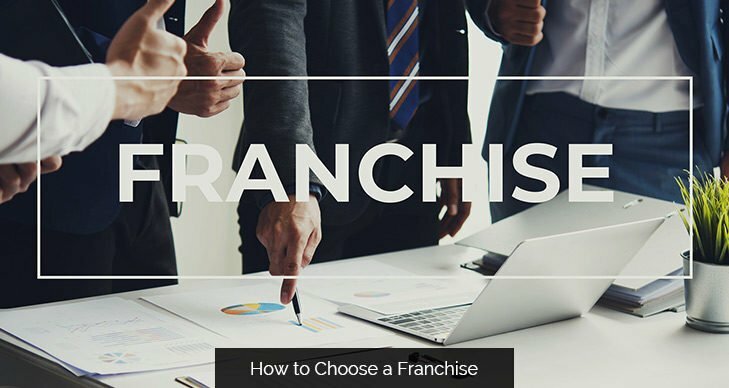 There are many nuances to each business, and you will need to analyze your preferred work style before you start looking at franchises for sale. Where do you want to locate your business? Unless you plan to hire managers to run your business, you need to consider where you live and what you community needs. If you are thinking about a business that caters to seniors, you may not want to locate it a area with new, starter homes, popular with young children. Look around at what types of businesses the community can use. For example, NOVUS provides auto windshield repair and replacement. This is an example of the type of service that is needed everywhere there are automobiles – pretty much everywhere. Does the franchise offer a high level of training and support? The better you are trained to run the business, the more quickly you can be successful. Training and support are key benefits of being a franchisee and it is the training and on-going support that differentiates a franchise from a business opportunity. How does the company you’ve selected rate? You’ll want to check with current franchisees to see how they feel about the training they’ve received. If a franchisor hasa number of franchisees who have been with them for many years, that’s a good sign that this company makes good on promises and supports their franchisees. Successful franchise companies grow. Those that fail to support their franchisees and/or disappoint clients will fail and lose franchisees. If you are interested in a business, check their FDD (Franchise Disclosure Document) to determine if the business is healthy and growing. For more help in finding a franchise, read “A Consumer’s Guide to Buying a Franchise,” available at https:///www.ftc.gov/tips-advice/business-center/guidance/consumers-guide-buying-franchise. Keep in mind that while franchisors and franchise brokers may make claims that seem to guarantee success, any investment, including franchise ownership, comes with risk. NOVUS Glass is a nationally-known brand with 45 years of experience.They provide their franchisees with a strong foundation and the support needed to grow each year. That means an advertising and marketing program to back up the immediate momentum of their brand recognition and referral network. With nearly 2,000 franchisees across 43 countries—240 franchisees in North America alone—NOVUS has remained the leader in windshield repair since 1972 for a reason. For more information, visit www.novusglass.com or 1-800-77-NOVUS (800-776-6887) for a NOVUS location near you. For franchise development information, contact 800-944-6811.